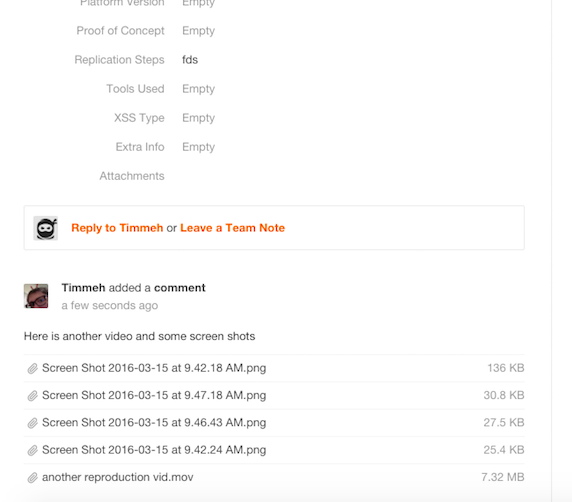 Now, Crowdcontrol supports file uploads of all sizes and formats, including video files! We know this small update will have a huge impact on helping to expedite the vulnerability validation process for everyone involved. Researchers working on either a private or public program now have an “Attach a File” link at the bottom of the comment box that is found on the bottom of a submitted vulnerabilities activity stream. 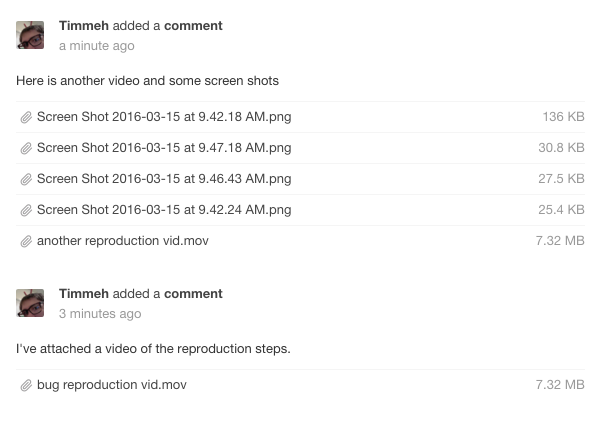 A user can click on the link to choose a file to upload, or drag and drop one or multiple files onto the comment box. By clicking on that link, a pop-up window will appear where a researcher can either drag a file attachment into the window or search for the file for upload. The file will be uploaded to the comment box. 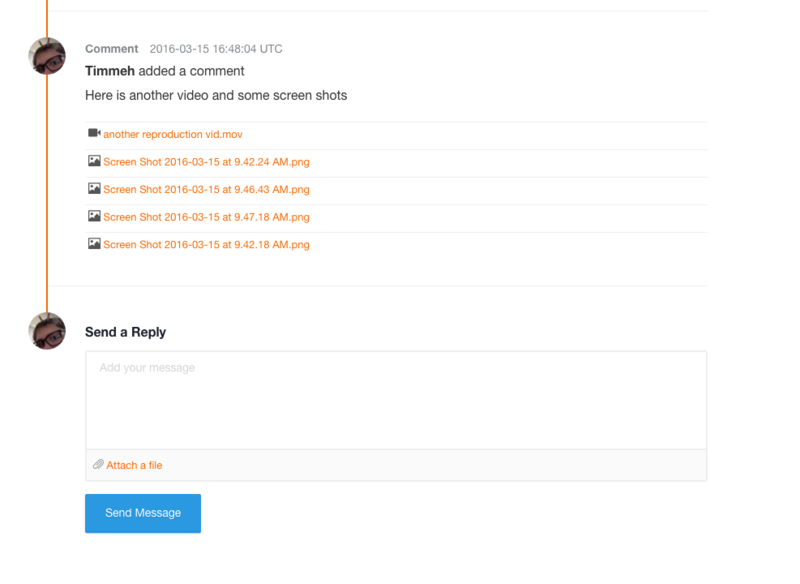 Researchers have the ability to add multiple files to a single reply before sending the comment. Customers will receive these attachments within the activity feed that is located at the bottom of vulnerability report that the files and comments are detailing. By clicking on the attachment text, the file will download for viewing. There is a lot more great stuff coming out soon, so stay tuned! As always, we love hearing your thoughts so let us know what you think or if you have any questions at support@bugcrowd.com or @Bugcrowd.